Christine is a writer/illustrator living in Bridgeport, CT. When she was two years old, she used to yell at her older brother for coloring wrong (he would always color outside the lines). Today, she works as a children’s book writer and illustrator doing what she loves most. 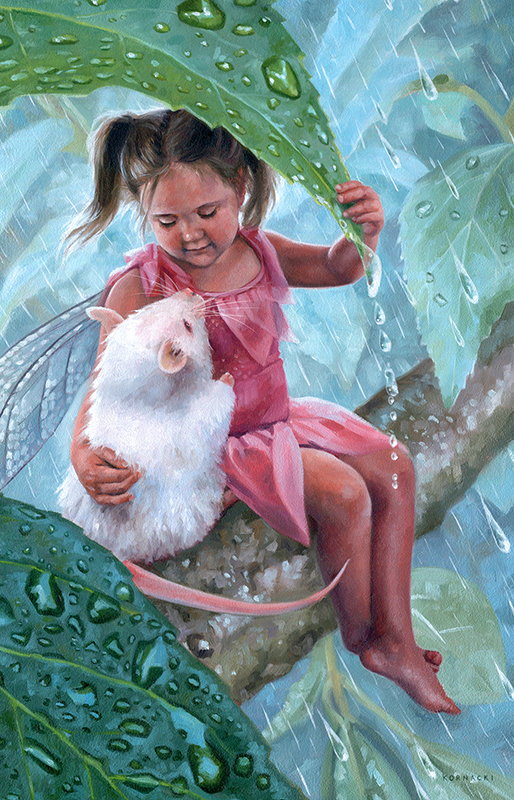 I have created colorful, oil illustrations for a wide variety of clients in the advertising and KidLit industries. She received my MFA in illustration from the Hartford Art School. With experience as a graphic designer, photographer, and educator, she use a this strong foundational background to bring her illustrations to life. Christine’s recent work includes the children’s books, The Sparkle Box, The First Christmas Night, and The Sparkle Egg, and the six book series for the American Girl doll characters Marie-Grace and Cecile. Here’s a chance to see one of my paintings from start to finish. As a realistic illustrator, every step in my process is essential to bringing my illustrations to life. This solid foundation ensures that by the time I start painting, everything is already figured out. Then all I have to worry about is finishing the painting! My first step is to create Thumbnail sketches. These are tiny sketches to experiment with different perspectives and variations of a scene. With nothing but my sketchbook and a pencil, I will go through numerous Thumbnails for each page. Once every page is nailed down, I gather all my References. This can involve many different resources including sewing outfits, sculpting props, finding scenery, and hiring models. My background in photography has been an essential skill-set to have under my belt in this step. Using these References as a basis, I then created Loose Sketches of each page. These are digital sketches with only some minor values added to them. As you may have noticed, all of my preliminary work is done digitally. My Cintiq is an amazing tool that helps me to create digital sketches with a traditional feel. Sketching digitally really allows me to be loose and make edits on the fly. When working realistically, I often prefer to have a tight Value Study as well. Every painting should be just as strong in black and white as it will be in color. This also allows to me to refine any details that were unclear in my Loose Sketch. I then use those Value Studies to create Color Comps. I will usually work up several different Color Comps for each page before I nail down certain color schemes. For this book, I imagined the kitchen scenes with dark blue backgrounds, that way the subjects would pop forward. By doing my Value Studies digitally, it allows me to easily overlay colors on top. And now I’m ready to paint! After transferring my sketch onto my board, I do a loose acrylic block-in and then I starting painting in oils. All of my preliminary work helps me complete this final and most important step. Here is the final outcome of my painting! Every step in this process has helped me along to this journey. Before I begin painting, I use a method to glue my printed sketches onto their boards. This is a brief timelapse video of the process. Could you tell me a little more about the transferring of the sketches. My process for transferring sketches is a technique I learned from Donato Giancola. So I have to give credit to him. He explains his whole process on his website, http://www.donatoart.com/technique/mounting/mounting.html. I’ve always liked the feel of working on Masonite board. This process involves printing my sketch and gluing it onto my board. The first step is printing out my sketch on a large format laser copier. I has to be a laser printer, because the inks are waterproof. An inkjet printer ink will bleed. I then wet the entire piece of paper, front and back, and let it sit for about 5-10 minutes. By wetting it, it causes the paper to expand. And then I use fluid matte medium to glue the wet paper to the Masonite board. Then as the paper dries it shrinks back up and creates a really solid adhesion to the board. Before I learned this process, I would spend all this time drawing and refining my sketch. Then once it was approved by the client, I would have to then redraw the entire thing onto my board. And especially when I was working on children’s book, having to redraw all of the 17 sketches I spent forever already refining was a daunting task. And my sketches were never the same when I redrew them. Little details were always lost along the way. By using this process, I’m only drawing my sketch once and then I glue it onto my board, where I then can paint directly over the printout. What type of paper do you use? It looks like you put it on wood. I print out the sketch on regular photocopy paper and that gets glued onto Masonite boards. Is that what you use with the oils, too? This process is specifically meant for oils. I’m sure you could do the same thing for acrylics, but I use this for all of my oil paintings. What type of glue do you use and how many layers do you put down? I use Fluid Matte Medium to glue the two together. Then I put about 3 layers of the matte medium on top of the sketch to seal it so I can paint over it in oils. And I sand between each layer to keep it smooth. Because it’s transparent, I don’t loose any of my information in the sketch. The matte medium can be a little slick to painting on, so recently I’ve been putting one last layer of clear gesso on top. It give the surface a little more tooth. What do you do to keep the sketch from smearing when you do this? As long as you use a laser printer you never have to work about smudging. The ink won’t bleed at all. I have tried using an inkjet printer and spray fixing the ink. But it still bled all over. I actually could still see all the detail of my sketch, but they were a little fuzzy. That’s why laser is best. It looks like you work pretty big. Do you do every piece of interior art that size? I always work larger than the printed piece. Honestly I don’t think I work too big. My children’s book pieces are usually about 24” x 12”. But recently I’ve been trying to go even bigger. I feel I can get even looser with my strokes when I paint bigger. Do you take pictures of the work in order to send it to the publisher? It depends on the publisher. For the picture books projects, the clients have me send them the originals where they can scan them on a drum scanner. But for the smaller educational projects I do, I scan them myself at home and send them jpgs. What size printer do you have? My printer at home is an Epson Artisan 1430. It prints up to 13” x 19”. I’ve found it very helpful to have a somewhat larger printer at home, especially when I’m putting together a printed portfolio or a book dummy. Below is a complete timelapse video of the oil painting Christine did for the cover of Wily, The Canine Pandemic by Michelle Weidenbenner! Coming out on Valentine’s Day! Here is the book cover. I’ve been working as an illustrator for about a decade now. I graduated from the Hartford Art School with my BFA in Illustration in 2007, and I was getting client work right from the get go. My first paying art job was in high school. I did a few illustrations for a local company in a brochure for new mothers. It was a small project doing black and white line work, but it was great getting some experience with a real client. Why did you choose to attend the Hartford Art School? Admittedly the Hartford Art School wasn’t my first choice. I grew up in area, so I was originally expecting to move farther away from home. I had been taking weekend art classes at the Hartford Art School all throughout high school. So I was very familiar with the classes and programs. I actually decided I wanted to be an illustrator because of one of the classes I took. Then when portfolio day came around at the Hartford Art School, the assistant dean at the time made sure I had my review with one of the illustration professors, Bill Thomson. It ended up being my best review of the day. Bill knew that I would be a good match for the school. Afterwards, the more I looked into it, the more I saw how right he was. I’ve always been a very classic artist, working in a realistic style. When I looked at the work of the illustration professors at Hartford, I saw that all of their artwork was right down my alley. They really emphasis learning the basics, and really learning how to observe and paint from life. This was exactly the type of training I was attracted to. It was certainly meant to be from the beginning. What made you decide to get your MFA in Illustration? I’m always looking at my career and reevaluating where I should be going next. Up to that point, I had illustrated several children’s books and I was ready to take next the step. For years I had been telling myself that I should start writing my own children’s books. I’ve always been an avid reader, and I used to write stories a lot when I was little. I had been intending to come back and get my MFA ever since I was in undergrad. It was just a matter of waiting for the right time. The Hartford Art School’s MFA program was the perfect thing for what I needed. The program is strongly based on travelling to different cities across the country and learning from illustrators in their areas. With the added inspiration and the two years of dedicated time to working on a my own personal projects, I graduated the program with two complete stories I wrote and their accompanying book dummies. This program was exactly what I needed to propel myself forward. Do you think art school influenced your style? I definitely can say that I am a product of my mentors. If you were to look at my work next to theirs, you certainly can see their influences on me. Having mentors with artwork that I truly admired is one the best inspirations a student can have. I always knew I wanted to be a realistic artist, and they were the right people to help me along my path. When I graduated, I thought I had to do the typical “artist” thing and move to New York City. So immediately after I graduated, me and several of my classmates moved the city to try to start our careers. Then based upon the recommendations of other former students, my first job out of college was working as a Security Guard at the Metropolitan Museum of Art. I’ve always thought it was the perfect job to help start my career. When your job includes looking at the artwork of masters all day, it’s hard not to be inspired. I knew I wanted to be an illustrator when I was in high school. I loved the idea of being given an assignment with a challenge to solve. But it wasn’t until my senior year of college that I had a Children’s Book Illustration class. I immediately fell in love with children’s books then. There is so much beauty in having words and pictures working together in tandem to tell a story. I’ve always loved doing puzzles and writing and illustrating a children’s book is just like one big puzzle with all these little pieces you need to work out and fit together. I loved the idea of a project that was bigger than just one painting. I see you have illustrated a number of American Girl books. When did you illustrate the first one? 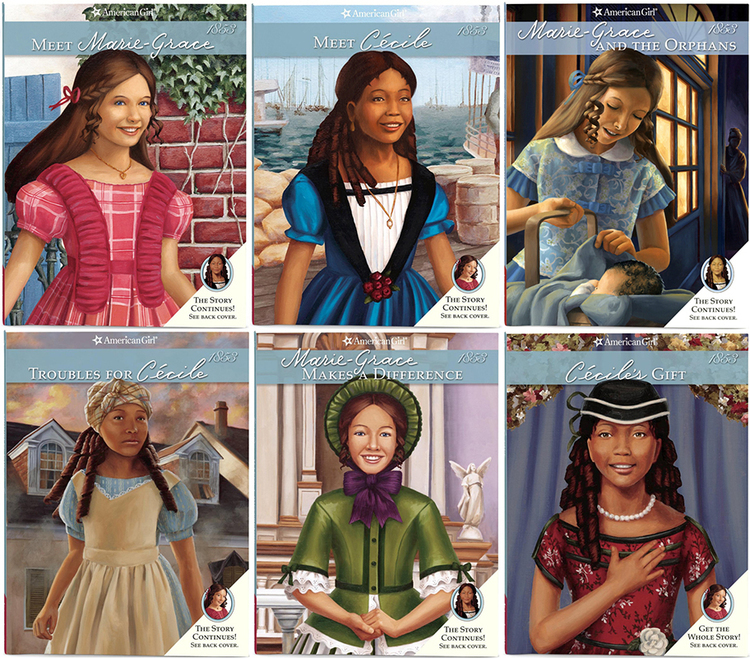 The books I illustrated for American Girl were a six book series that were all published together as a set. I started working on them in 2008 and they were all published in 2010. How did that opportunity come your way? The American Girl books were really my first big project out of school. When I graduated, I knew that someday I would love to illustrate American Girl books. I was a big fan growing up and it was right down my alley. About a year after graduation I signed with my agent, Christina Tugeau at CATugeau Artist Agency. I told her at the time that I was interested in American Girl. A couple months later she called me up and told me American Girl was looking for an artist and they were interested in me. So I was really only about a year out of school when I got this dream job. Where these your first books and do you expect to illustrate more of the American Girl Books? These were my very first published books. It took about a year and a half to illustrate the six book series I did for them. I loved working on them, but afterwards I felt my true calling really is in picture books. I love the format of the 32 page children’s book and how it’s story unfolds. I’m sure if the opportunity came up again I would jump for it, but for the moment I’m focusing all my energy on children’s books. How did you get the job to illustrate The Sparkle Box? After I finished the American Girl books, The Sparkle Box appeared on my doorstep. Ideal’s Publications sought me out specifically to illustrate the Sparkle Box. I’m not sure if it’s my American Girl work that led them to me or not, but it just felt meant to be. 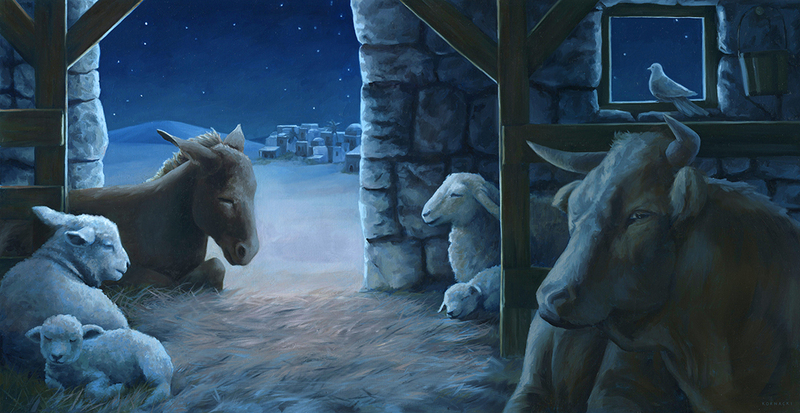 Were you surprised when you won the Christian Book Award for the Best Children’s Book? I was unbelievably surprised to win the award. The Sparkle Box was my first picture book and I was still getting a handle on what I was doing. I was also balancing a full time job at the same time I was working on it. So I never expected that my first book would gain so much attention, let alone be one of their best sellers of the year. It looks like you have done a lot of work with Ideal books. How many have to illustrated for them? During my time getting my MFA, I became really inspired by all the book covers artists we meet. I love the challenge of creating one picture that has to capture the feel of an entire book. I’ve been adding some new pieces to my portfolio that are specifically geared towards books covers. I’d love to dive into the YA book cover field I recently illustrated the cover for a book called “Wily and the Canine Pandemic” by Michelle Weidenbenner. It’s a mid-grade book about a boy charged with a responsibility to save the canine race. Writing and illustrating my own children’s book is truly my dream. When I began writing my own stories, I feel like a new world was opened to me. I love bouncing back and forth between story and pictures to create my own world. I feel I’ve hit a whole new level of creativity when I’m writing and illustrating together. Would you be open to illustrating a book for an author who wants to self-publish? Working on a children’s book with an author who is self publishing is a very difficult thing. I’ve been approached many times by self publishing authors, but usually they just don’t understand the scope of illustrating a children’s book. My style is time consuming and very intensive. Most self publishers just can’t afford to pay me. That doesn’t necessarily mean I wouldn’t work with a self publisher, I just haven’t found anyone who’s been a good fit for me. Have you ever tried to illustrate a wordless picture book? I love wordless picture books and I’m actually currently working on writing a wordless picture book now. It definitely is even more challenging than I expected to write a wordless book. I’m still finding that balancing of a story that is simple enough to be told without work=ds, but complex enough to still be captivating. Have you worked with educational publishers? I have worked with several education publishers. I’ve done work for some text books, workbooks and several easy readers books. My clients have included Kids Ministry Publishing, Fountas and Pinnell Leveled Books, Pearson Education, and McGraw-Hill Companies. I like working on the smaller educational projects in between the children’s books. Have you done any illustrating for children’s magazines? I haven’t done any magazine work yet. I certainly would like to, but I haven’t really looked into it yet. How did you connect with your artist rep Christine (just an fyi, it’s Christina) Tugeau? I first met Chris when I living in the city right out of school. The local SCBWI chapter in NYC has monthly get togethers, but I didn’t often have time to attend them. The one I did go to was a Q&A session with a panel of three children’s books agents. Chris was one of the panelists, and after the talk I walked up to all three of them and handed them one of my postcards. Chris was immediately intrigued by my work on my postcard and followed up with me afterwards and signed with me. It still amazes me with how lucky I feel to have her as an agent. What types of things do you do to find illustration work before you found an agent? Finding work before my agent was certainly very difficult. I was getting work before her, but it was mostly in the advertising field. I was mostly attending any conferences I could and I was periodically sending out postcards along with creating new portfolio work. Just about all of my work is done in oils. I just love the way oils move and blend together. I did a lot of work in watercolor in college. For a time I thought I was going to be a watercolorist. But I think oils are a little more forgiving. It can be very difficult to make changes in watercolors once you’ve started. So I like the little more freedom of oils. I also will occasionally do digital paintings, if the project seems suited for it. I do have my own studio. I have a room in my house that is dedicated to my work. I have a long L shaped desk with my computer and a 22in Wacom Cintiq in one corner. And I have my easel and drying rack on the other side. I think my magnetic easel is the one thing I couldn’t live without. Painting constantly can have it’s physical tolls on the body. I began developing back issues years ago when I was painting at a desk. So I’ve tried to create the best setup for me that can allow me to have my painting, my references, and my paints all right at eye level. I ended up buying a stainless steel Ikea cabinet door and putting it on my easel. I then put magnets on the back of my paintings and I use magnets to hold up my references and paints exactly where I want them. It’s created a much more sustainable working situation so that I can work long hours without putting too much strain on my back. I definitely wouldn’t be able to do my work without it. I work full-time as a freelancer, so I do create my own hours. My fiancé is a teacher, so I’ve basically worked my hours around his. I’m usually up and working by 7am every morning, and I like to finish by 5 or 6 at night, and this includes weekends at well. And things can fluctuate depending on how much work I have at the moment. But I always like to make sure I have time to relax and enjoy life. I try to take my own pictures whenever possible. And this can include hiring models, sewing outfits, and sculpting props. I’ve used almost all of my friends and family as references over the years. And every painting begins with extensive research on the subject. I like to see what’s been done before, to make sure my take is fresh. I’ve grown up with computers throughout almost all of my childhood. So, honestly, I don’t know what I’d do without computers. The best part is really the ability to promote my work online to companies all over the country. But I really love ability to see and stay connected with other artists. Working at home can be very isolating. Having an online dialogue with others artists has really helped me feel like part of a community. We’re constantly able to ask each other questions, give advice, and even motivate to each other. This would be a lot harder if I was all alone. Just about all of my preliminary work is done digitally in Photoshop. Everything from my thumbnail sketches, to my value sketches, and my color studies are drawn digitally. I think the malleability of working digitally is perfect for the early stages when I’m still working out my compositions. I have a 22in Wacom Cintiq that I do all my sketches on. I never loved the small tablets where you’re drawing down on the table, but you’re looking up at the screen. I didn’t like the disconnect. With this large size Cintiq, I’m able to draw directly on my screen, so I’m able to look right at what I’m doing. My next big step is to publish my own story that I’ve written and illustrated. I feel like I have a unique voice that I would love to share with the world. I just finished up an easy reader book and a book cover project. Currently I’m working on some coloring pages with a client. I’m also an adjunct professor at the Hartford Art School. I’m currently teaching the Digital Illustration class. I’ve recently been experimenting with different oil painting mediums. I was taught to use Liquin to loosen up my oils, but I wanted to see what else is out there. I recently tried Galkyd and Neo Megilp and I’ve been liking the results. I think Galkyd dries a little too quickly for me. It starts to get sticky before I’m done with it. The Neo Megilp has a lovely buttery feel to it, and I’ve really been enjoying working with it. I did recently have issues with it drying a little slower than Liquin. I’m normally working on multiple paintings at once, so I don’t often have to worry about drying times. But I was recently working on a single painting, and my process was definitely slowed a bit by the longer drying time. So I don’t know if I have a perfect choice yet, but I’m enjoying testing them out. I’m welcome to any other recommendations if anyone has some too! I like to tell my students that hard work is the most important thing. You could be the best artist in the world, but if you’re not promoting yourself and constantly creating new work then you’re never going to go anywhere. You have to have a constant drive to be working harder than everyone else if you want to make this work. For more behind-the scenes peeks, here’s Christine’s first ever video showcasing the making of the children’s book, “The Sparkle Egg“. Covering five months of references, sketches, and painting this is merely a glimpse of her entire process from beginning to end. How did you make the sparkles on the egg for the cover of The Sparkle Egg? Painting the sparkly boxes and eggs was certainly a challenge. I found the most important thing was trying to get those little bits of white highlight. So I’d try to keep the overall values of the objects somewhat on the darker side. Then I’d go over it with small, pure white dots, to try to get the sparkle. And then when the covers were printed, the publisher added some real sparkles on the book jacket, which makes it really pop on the shelves. If you have a minute, please leave a comment for Christine. I am sure she’d love it and I enjoy reading them, too. Thanks! Lovely article! I really enjoyed learning more about Christine’s process. She is one talented artist! Beautiful work and thanks for sharing! Stunning work! Thank you for sharing. The pasting the printed image to the board part is fascinating! Beautiful work….and for showing your process….I think I love second one in pencil or charcoal as much as anything! That’s a great idea re the Ikea cabinet and magnets. What kind of magnets do you use that don’t harm the originals? Thanks! To keep my paintings up, I actually just use business card magnets (so they’re sticky on one side). And then I just stick them on the back of the board. It’ll take a few to keep it up, depending on the size of the painting, but it keeps it in place and doesn’t damage the painting! we are so so glad to have connected to you Christine! a very special talent! Wow! Excellent work and unique approach to illustration. Thank you for sharing your process with us. Just curious, do you teach your digital illustration class on-line as well? Thank you so much for sharing! Christine is such an amazing artist! Wow! I’ve actually read several books illustrated by you (including the whole American Girl series) and have to say I’m a huge fan! I love that you work in a traditional medium as well as digital and I love the color and sense of scale you use. Really great work. That’s so great to hear that you’ve read my books! Small world. Thanks! Wonder article and well deserved! So happy that Dad stopped by. You’re daughter is extremely talented.